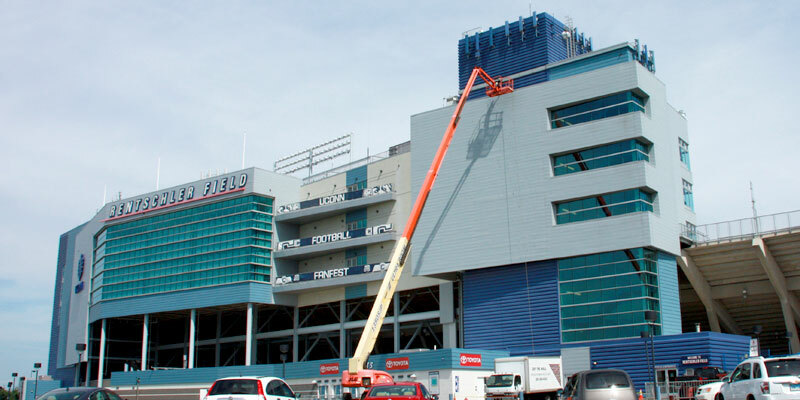 We have the expertise and equipment to take on even the biggest power washing jobs. Our attention to detail ensures no dirt or grime stays behind. 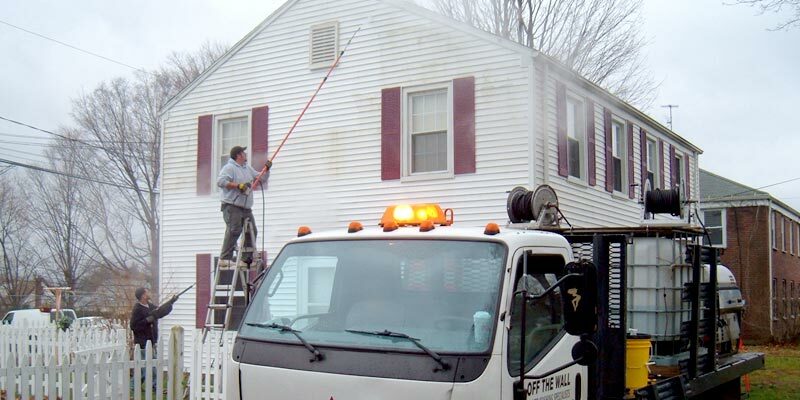 We are power washing professionals who have been keeping New England clean since 1985. We are fully compliant with all EPA regulations and work to conserve, recover, and filter the water we use. Our fleet of vehicles is ready to tackle all of your power washing needs. 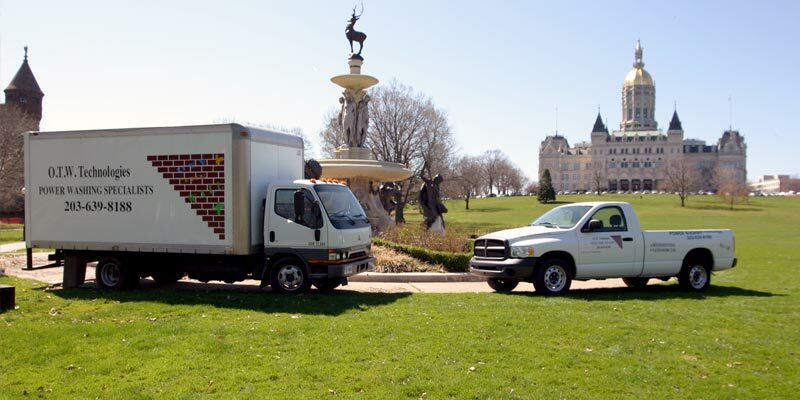 Through our 30 years on the job, we've tackled countless jobs of nearly every size and shape. Our power washers can cut through years of dirt and grime to restore surfaces. Have well water? No problem! We carry over 500 gallons to get the job done. 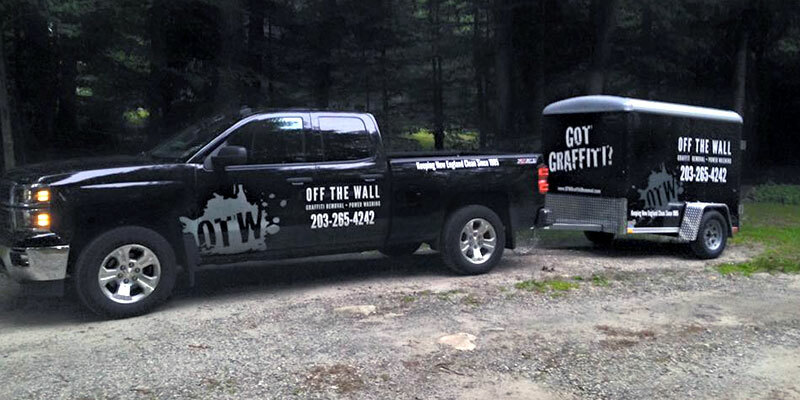 Founded in 1985, Off The Wall has been a leader in the commercial power washing, residential power washing, and graffiti removal industry for over 30 years. We have built our reputation by assisting towns, cities, businesses, property managers, housing authorities, landlords, and homowners all over New England with the upkeep of their property and we welcome the opportunity to assist you. Click here to see some of our clients. We have the experience and equipment to power wash nearly any surface: from brick, stone, and concrete — to wood, metal, and asphalt; even vinyl and plastics! 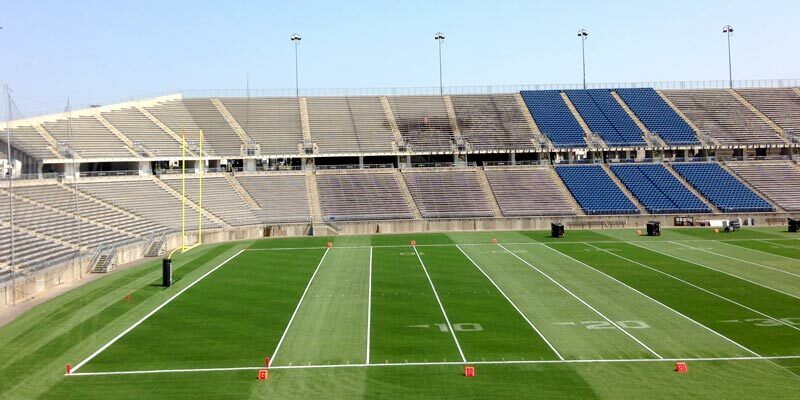 We are fully licensed (CT Li.# 0626878) and insured, work within the DEP guidelines, and are a Member of Connecticut School Buildings & Grounds Association. 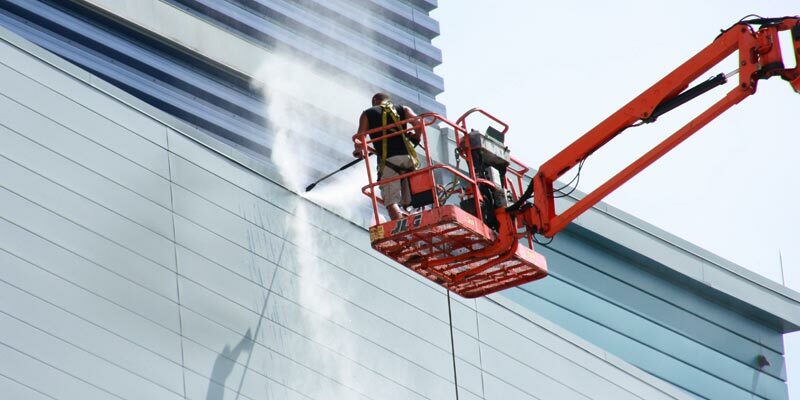 Check out our Top 10 Reasons to Hire a Commercial Power Washer. We take an environmentally-conscious approach to power washing. Unlike other companies who only recover water and transport offsite, we also filter and reuse — allowing us to be fully EPA compliant and conserve our most precious resource — water. 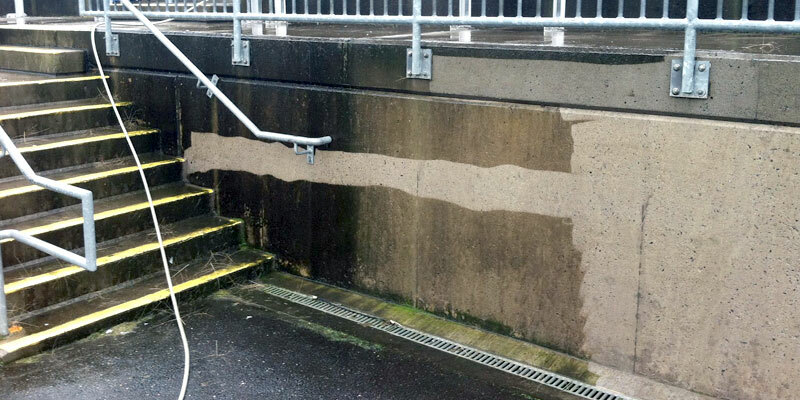 We provide a range of power washing services.